In what would have been better had it been the final, Venus and Serena Williams met in the Quarterfinals of the 2008 US Open and gave everyone in attendance their money’s worth! Not that I know, because I couldn’t bring myself to watch! Neither could my mother. It was as if it was her two children battling it out on the court in New York. We’re big fans of the Williams sisters and have been reppin’ for them since they first debuted on the WTA. I can’t say that I didn’t have a favorite for this match because I did. Venus won the match the last time the sisters faced each other (2008 Wimbledon), so I thought that this time it was Serena’s turn. 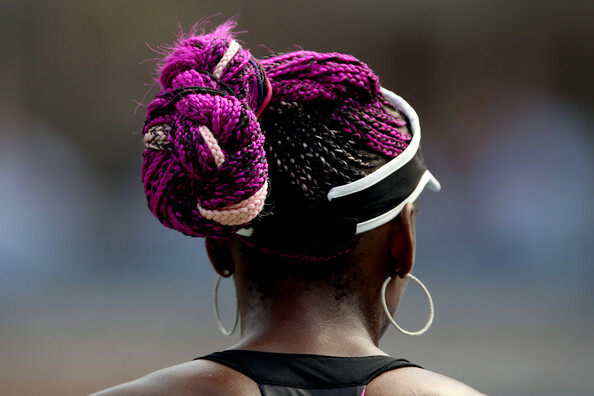 Plus, grass appears to be Venus’ surface, while Serena shines on hard court. Aussie and US Open tourneys are on hard court, so I tend to lean towards Miss Serena. Serena, who was broken early on in both sets, fought off quite a few set points to win 7-6, 7-6. Two straight tiebreakers means that both sisters were bringing it! Maybe I’ll download and watch the match later. But for now, I really want Serena to go all the way and win this one! It’s been a while since she’s hoisted the US Open trophy!